Here are our community partners, companies, organizations, and institutions. Check out some of the resources we have benefitted from and are interested in- and let us know if you have you’d like to see added to our list! Within the Department of Theater, Dance, and Performance Studies, we understand performance to be a mode of critical inquiry, a means of a creative expression, and a vehicle for public engagement. Our goal is to produce “the whole artist;” as such, our classes, workshops, and productions challenge students to expand their critical and creative capacities. The T&PS or D&PS major trains students to begin careers in areas as diverse as those of professional theater (acting, directing), dance (performing choreographing), theater management and design (stage management, and costume, scenic and lighting design), teaching and scholarship in performance-related fields, writing-based fields (advertising, editing), body-based fields of study (health care and somatic practices), law, and social work, especially as it relates to community-based arts projects. Currently, TDPS alum have gone on to careers in television, film, dance, and theater, as well as pursued work in law and medicine. At a time when scholars and practitioners across a variety of fields call for more cross-disciplinary intellectual collaboration and project-based learning in higher education, we take pride in our daily commitment to collaboration and to the kind of rigorously critical, team-based projects we develop with our students, staff, and faculty both in the classroom and in our production season. We aim to bridge the divide between practice and scholarship, and to create an environment in which students engage with theoretical and historical material—deepening their work as writers, thinkers, analyzers, and movers. ​​FaultLine is a brand new company created in 2012 by a handful of Berkeley grads and their most passionate friends.​ Our MISSION is to create theater for a new demographic, opening our doors to the young and the skeptical. We are committed to producing challenging work by new and UNHEARD VOICES. We believe in Green Hiring. This means that all of our talent is locally grown and harvested, creating a greener theater while strengthening the roots of ourCOMMUNITY. We believe that theatre is not a luxury, it is a NECESSITY and belongs in the hands of the risk-takers, the passionate, and the innovative. We are Faultline, and we are taking theater back. Join us. 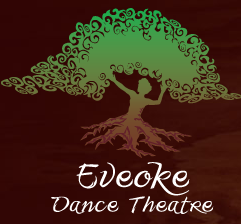 Eveoke Dance Theatre was founded in 1994 by Gina Angelique and Christopher Hall with an original Concert Company of 8 dancers. Programming out of a small studio on the 5th floor of the Ratner Arts Building in downtown San Diego, the organization produced three month long performance works per season and began operating a unique arts education program fueled by the mission to cultivate compassionate social action. In 1997, Eveoke moved to a large 5000 square foot building in the heart of downtown’s East Village and the programs grew exponentially to not only serve on-site students with this unique experience but to serve thousands of youth weekly in extensive outreach programs with city schools and community organizations while still producing evocative dance theatre with an ever-evolving group of talented artists. Eveoke’s access programs ensured a diverse and rich community of artists, students, and patrons. This all holds true today, in Eveoke’s 17th year, now programming out of a beautiful studio in the heart of North Park. We continue to produce an annual season of original dance theatre works, operate an arts education program aimed at long-term, quality interactions between students and teachers, and provide unique experiences that increase visibility for dance and benefit our diverse San Diego community. We do all this through the lens of our core values: access, intention, and collaboration. The Envision Conservatory is an extended day program that is available on an audition/interview basis only. Each term, students participate in 90 hours of intensive discipline-specific work and about 15 hours of inter-disciplinary exploration. The Conservatory is designed to challenge our students at the highest possible artistic levels. Jason Lee Segal is The Defiance Project’s primary filmmaker and multi-media collaborator. He makes films of all sorts for a variety of different purposes, and has played a vital part in capturing The Defiance Project processes. Jason’s work spans artistic and commercial purposes, and he continues to hone is craft at Chapman University’s film program. Smith/Wymore Disappearing Acts is a Berkeley, California based dance-theater company founded in 2001 by co-artistic directors Sheldon B. Smith and Lisa Wymore. Their work places the inherent beauty of the body in motion, both choreographed and improvised, in a deeply conceptual and human-centered environment that is supported and enhanced by technology. Smith and Wymore’s research has taken them from studio to stage by way of virtual and real locations on city street corners, desert landscapes, kitchens, canyons and science labs in search of timeless stories of passion, fear, longing, violence, humor and joy. From these investigations Disappearing Acts creates abstract narratives built on a foundation of physical experimentation, improvisation, text, song and digital image. The result is a new aesthetic that is at once oddly familiar, and beautifully odd. Joe Goode Performance Group (JGPG) promotes understanding, compassion and tolerance among people through the innovative use of dance and theater, as interpreted by the artistic vision and work of Joe Goode. After working as an independent choreographer in the San Francisco Bay Area for many years. Katie Faulkner created little seismic dance company in December of 2005. Within the first year of its formation, little seismic was invited to perform in several festivals including San Francisco’s West Wave Festival, the Monterey Dance Festival, the Renaud-Wilson Dance Festival and 8x8x8. Deemed by Allan Ulrich, dance critic for voiceofdance.com as “a talent headed for capital letters” and “a choreographer we will hopefully see much more of in seasons to come” by Mary Ellen Hunt of IN DANCE, Faulkner quickly established herself as a choreographer to watch within the Bay Area dance community. little seismic has performed in venues and festivals throughout Northern California, received generous support from granting agencies, and has been awarded residencies at Shawl-Anderson Dance Center in Berkeley, CA , ODC Theater in San Francisco, CA, Marin Headlands, Djerassi Resident Artists Program, and the Maggie Allesee National Center for Choreography in Tallahassee, FL. Performance arts are an integral part of a well-rounded education. This after school program seeks to promote physical and emotional health, build confidence and self-esteem, and foster team-building and collaboration by hiring professional working local artists to instruct teenage students in dance. Consequently students will be provided a premiere dance education and mentorship opportunities with professional artists while learning a new art form and demonstrating proficiency through performance opportunities. Dance Camera West (DCW) is a non-profit organization dedicated to promoting and developing the vibrant art of dance media. DCW connects diverse cultures and environments through its exploration of dance on screen, bringing hundreds of challenging and provocative films to Los Angeles from around the globe, effectively bridging the gap between the uniquely influential Los Angeles film community and the significant local dance populace. Even more importantly, Dance Camera West utilizes the accessible nature of dance as a non-verbal art form to reach across cultural, geographic, and socio-economic divides by making a special effort to engage a wide range of Los Angeles audiences of varying ethnicities and interests, offering everyone a chance to experience the thought-provoking thrill of dance media. Globally speaking, Dance Camera West is one of only a handful of organizations that presents dance media, and the only one of its kind on the West Coast. Given that distinction, DCW has been fortunate to partner with some of the most prominent venues and organizations throughout the Los Angeles area. Co-presenters have included the Getty Center, REDCAT at the Walt Disney Concert Hall, Directors Guild of America, the Hammer Museum, and many others. The Z-Lab is run by Lisa Wymore, Associate Professor of Dance/Choreography withing the Department of Theater, Dance and Performance Studies at UC Berkeley. The Z-Lab explores tele-presence, co-location, real time media within performance, and embodied media technology. Jordan Halsey is a multi-disciplined designer with an extensive history of bringing ideas to fruition, either through real world construction with an advanced knowledge of cinematic, theatrical and architectural construction techniques,or through digital content creation with over ten years of computer driven design and animation experience using state of the art software with an emphasis on the modeling, lighting, texturing and rendering of hard surface geometry. AN ORANGE DOOR is located in a studio space in the Glassell Park area of Los Angeles and serves as a forum for experimentation for artists and non-artists alike. Through the presentation of exhibitions, installations and workshops, we seek to examine the intersection of art, science and the semiotic relationship that leads them to inform one another. If you want to “look good, feel good, do good,” we’ve got you covered.StyleSubstanceSoul.com is the website for women seeking world peace, food for thought and a really great pair of shoes. We promise you’ll find lots of new ideas about living a life of passion, compassion and action. And you just may make some great new friends along the way. We have! Esho Funi Future Now is an online space for dance-film, poetry, short notes, and resources relating to human’s relationship to the environment, and practices in sustainability. “Esho Funi” is a Zen Buddhist concept for oneness with the environment, which is what the tid bits on the blog will invite you to discover. Most of us use the internet on a daily basis, here’s hoping that spending time on this site will prompt you to spend even more time outside, with eyes, ears, skin, and heart open to experience the world around you! 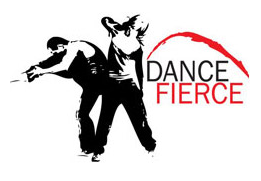 Journey Dance is a movement modality created by Toni Bergins. It evolved from dance kinetics in the 90’s and has become a campaign to help empower men and women by creating a safe space for them to emote while nourishing their bodies. Every person has a story to be told and JourneyDance uses music and simple guided movements to reconnect each dancer with their body so they can tell their story. Not only is this unconstrained form of exercise grounding, but it helps bring unwanted thoughts and emotions to the surface so they may be processed and released. The release that comes from dancing a personal journey cultivates self-love and personal acceptance. It leaves each dancer feeling vital, grounded, energized and connected to the surrounding world. joe landini is a bay area based choreographer/curator and has been the program director at the shotwell studios and the jon sims center for the arts. he founded the non-profit SAFEhouse in 2003 (Saving Art From Extinction) to create new forums for contemporary performance. in 2007 he founded The Garage to create a “safehouse” for local performers and foster a creative community that is both inclusive and professional. La Peña is a vibrant community cultural center with a national reputation and a global vision that promotes peace, social justice and cultural understanding through the arts, education and social action. to create and perform their work, and to support and interface with diverse social movements. The Subterranean Arthouse was founded by Nicole Rodriguez and Claire Duplantier. Researching a place to teach a class out of, they stumbled onto this beautiful space and their dream careers. They saw it and knew it was incredible, so decided to open up the space as a place for all forms of art to be housed. A few days later their good friend Tara Macomber offered them a non-profit organization called “Tree of Life” that she founded to bring art and dance to the community. Their unfound dream of bringing arts to the community was coming together…So they created the subterranean arthouse. The Subterranean Arthouse is an interdisciplinary community art space that offers diverse opportunities for local, national, and international artists to teach, create and present their art form. Through weekly classes, performances, film showings and visual art exhibitions, we encourage dialogue between disciplines, between artists. We inspire a sustained curiosity about life through the practice of art. The Subterranean Arthouse is rooted in a tradition of experimentation unique to the Bay Area as it extends its branches to the terrain of other art communities. The Subterranean Arthouse is a project of the Tree of Life, a 501(c)(3) non-profit organization founded with the mission to bring arts programing to schools and communities. Tree of Life in conjunction with the Subterranean Arthouse will be a platform for Bay Area artists that will allow them to see their projects to fruition. The Marsh develops new performance. It encourages and supports all stages of this development by providing artists with an intimate performance venue and an environment that encourages experimentation by giving audiences a place in which to see work on the cutting edge of creativity. The Marsh provides a community where both artists and audiences can branch out into new territory. At each stage of development audiences serve as an integral part of the creative process, witnessing the magic of the artist at work. And those of us who experience the unfolding of an exceptional new piece, will never forget it. Everyone has a gift. Not every one gets the chance to use it. Since 1968, young artists have been discovering how training in the arts can and does illuminate their fullest capacity as human beings while at East Bay Center for the Performing Arts, in a neighborhood known as the Iron Triangle and distinguished primarily for its chronic poverty and violence. Over these past 43 years, in the heart of Richmond, California, more than 50,000 student artists – from all walks of life – have shared a home where they have found within themselves the means to develop skills that enable them to think, lead, and contribute to the world around them. Right Brain Performancelab is a hybrid arts collaboration that explores humanity and existence by way of metaphor. RBP began in 1999 as a collaboration between solo artist/writer John Baumann and choreographer/performance artist Jennifer Gwirtz. Over the next several years it has evolved and grown into a group of regular collaborators. Soul Sanctuary Dance is a welcoming and inclusive all-ages community freestyle dance that supports free expression, community, physical and emotional health, and a spirit of generosity. The dance is organized and produced by volunteers.